Last time I finally decided on what tiles to use in the girls bathroom! That was a long process! In the end I chose these over sized 4x8 subway tiles. 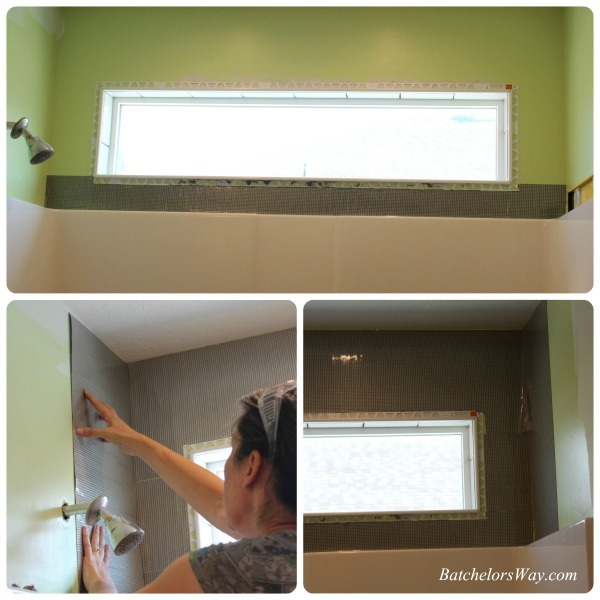 I didn't want to have to rip out the Sheetrock and install cement board, so I used Bondera. and my sisters basement tile job. I was happy with the results so I am using it again. You start by measuring your area, then mark and cut your Bondera to fit. 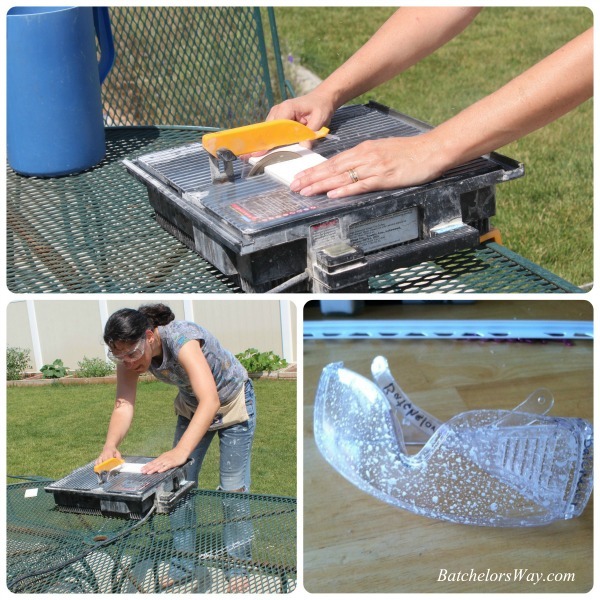 It works best on a large flat surface and you can cut it with scissors or a utility knife; I found a knife to be the easiest. If you spray your blade with PAM cooking spray, it keeps it from building up sticky residue on your blade. Once it's cut I test fit it. 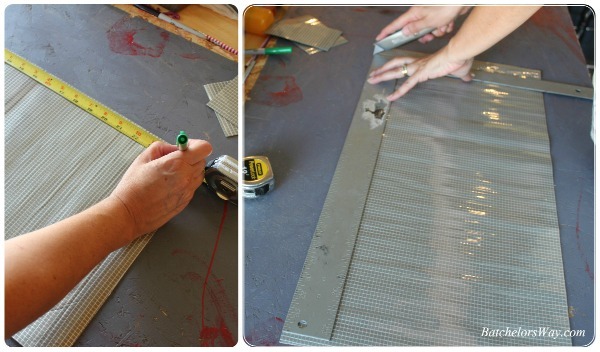 When I'm happy with the fit, I just pull the liner off the back or non mesh side and adhere it right to the dry wall. I started with the inside of the window. Once all the Bondera was firmly in place I pulled off the top liner one side at a time and pushed the tiles into place. 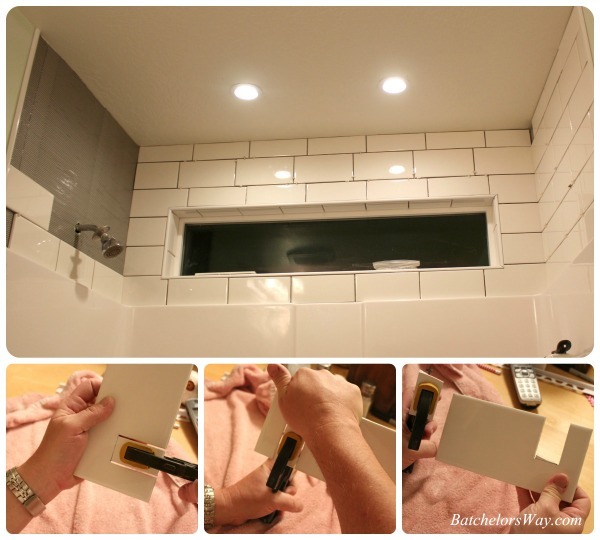 I actually used 2x6 subway tile inside the window sill, because they fit perfectly without having to cut them. This part went super fast and easy! 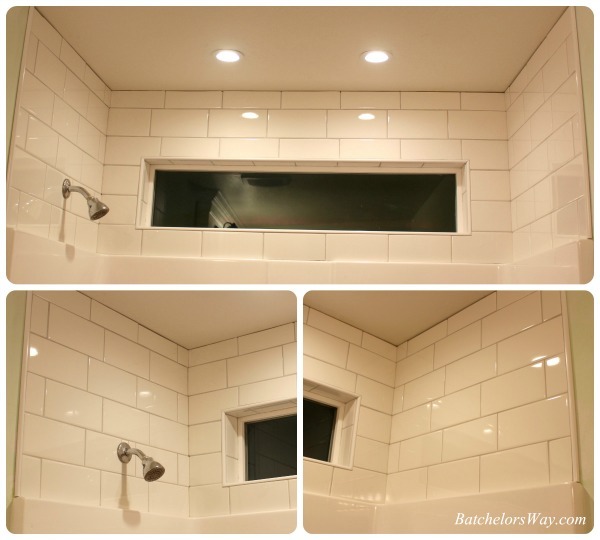 I used tile trim to frame the window. 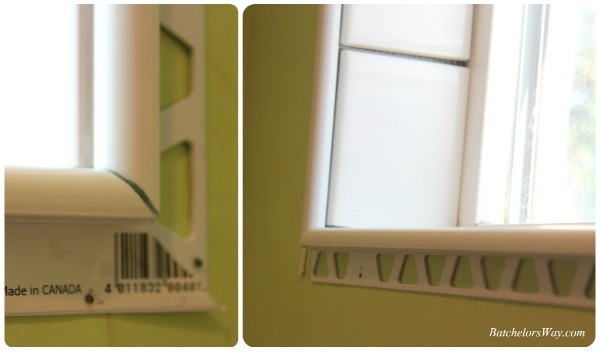 It is made of a plastic, so I just mitered the corners with a hack saw and tacked it in place with some small staples. You could use bull nose tiles instead, but I think the trim looks nicer. I then finished putting the Bondera on the whole area. I had to cut most of the tiles around the window, which slowed me down a little. After cutting each tile I dried it off with an old towel. If it is not completely dry it won't stick to the Bondera. Not sure how I could see anything out of those safety glasses!! You may notice in the above pictures it is a lovely sunny day, but below it is dark outside! It always takes longer than you think!!! One thing that slowed me down was the uneven surface. 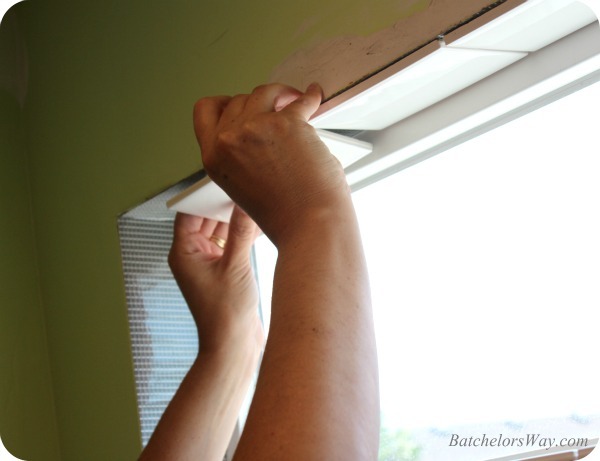 Around the window you have a build up of dry wall mud, which means you don't have a flat surface. I had to do some finagling to get it all to work! Late at night I am rigging up some lighting and still cutting tiles! Remember I have to finish this and grout it within 8 hours!! But it is looking good, don't you think? By now my husband had joined me in my late night adventure!! Good thing too, as he saved the day in cutting the tile for around the shower head. I cut two slits and using a clamp he broke out the middle section, brilliant!! I think it was about 11:30 at night when I started grouting! Luckily Les and Branden helped by constantly changing my rinsing water! I think we cleaned up and buffed the last tile around 1 am!! But...... it was done and it looked GOOD! I forgot to mention I used the same tile trim to finish off the front edge of the tile. 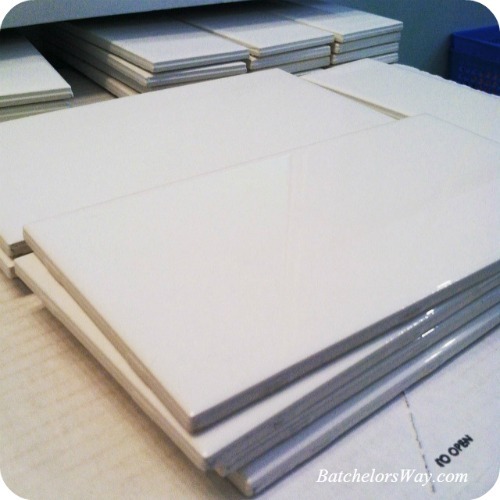 I would have spent a few hours just staring at my bea-u-ti-ful tile, but I was actually so tired I just fell into bed. 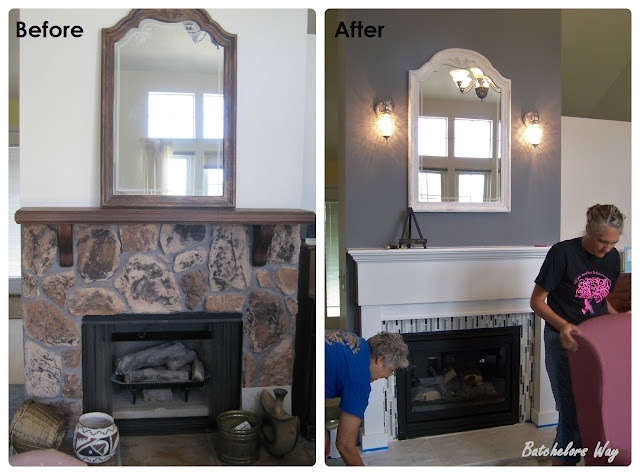 After I caulk it will look even better!! I have conquered my steam and water problem!! That tile looks awesome! I didn't know a thing about Bondera, it looks easy. Gotta save this info for when I begin working on my bathroom.